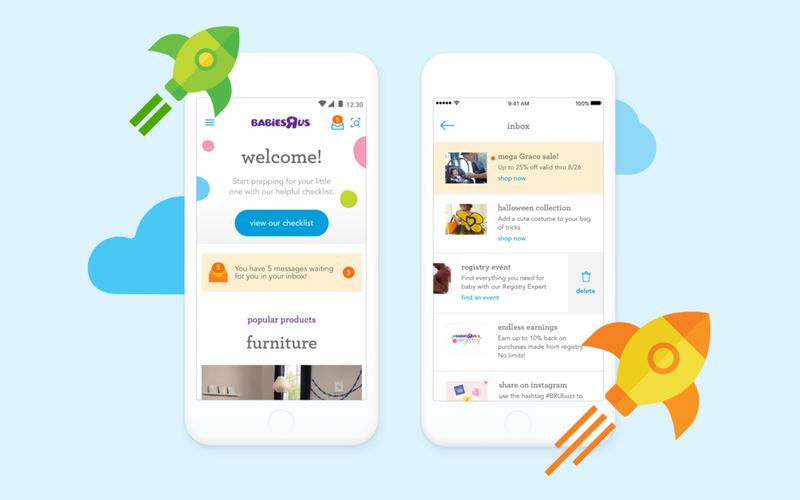 My team at Small Planet redesigned the Babies "R" Us Registry app to make the multi-channel user experience more streamlined, so users can easily create lists and buy products using a combination of web, mobile, and in-store visits. Earlier versions of the app focused on creating and sharing a registry, but items on the registry could not be purchased directly from the app. Transactions could only happen in-store or on the Babies“R”Us website. For a major retailer in an incredibly competitive space, that had to change. We added Cart and Commerce functionality that makes it easy for users to make purchases without leaving the app. Optimizing the app for mobile purchasing helps grow the number of new users, new registries, and overall sales. Finding a registry and ordering items is now a simple, hassle-free user experience for friends and family. Parents are seeing the benefits, too: a high percentage of them decide to buy items off their registries as they’re managing them, both before and after the baby arrives. 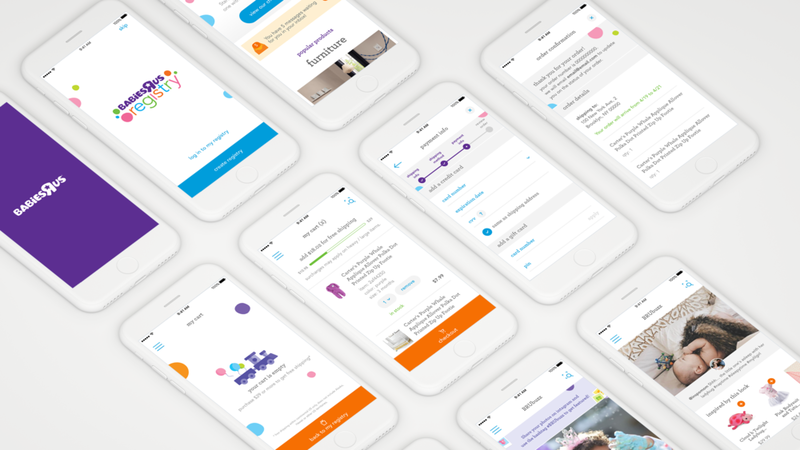 THIS APP WAS DESIGNED AND DEVELOPED AT SMALL PLANET, BROOKLYN.